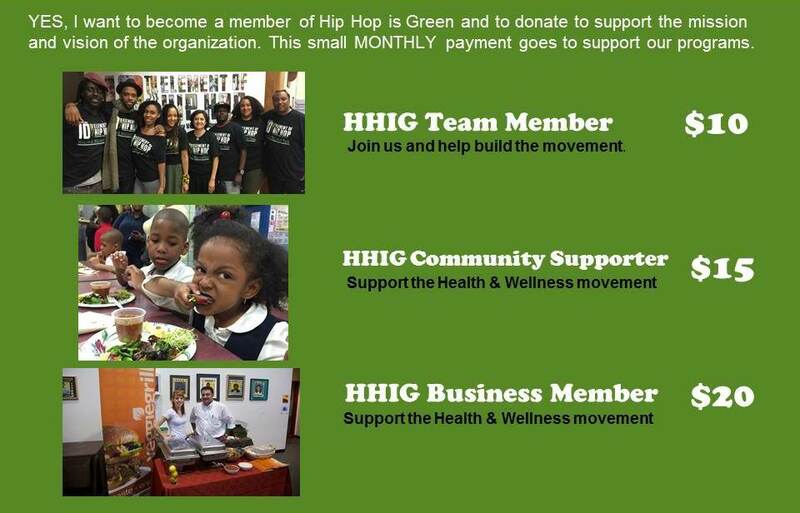 Our Oakland Hip Hop is Green chapter is rolling out our 10th Element of Hip Hop Health & Wellness program. 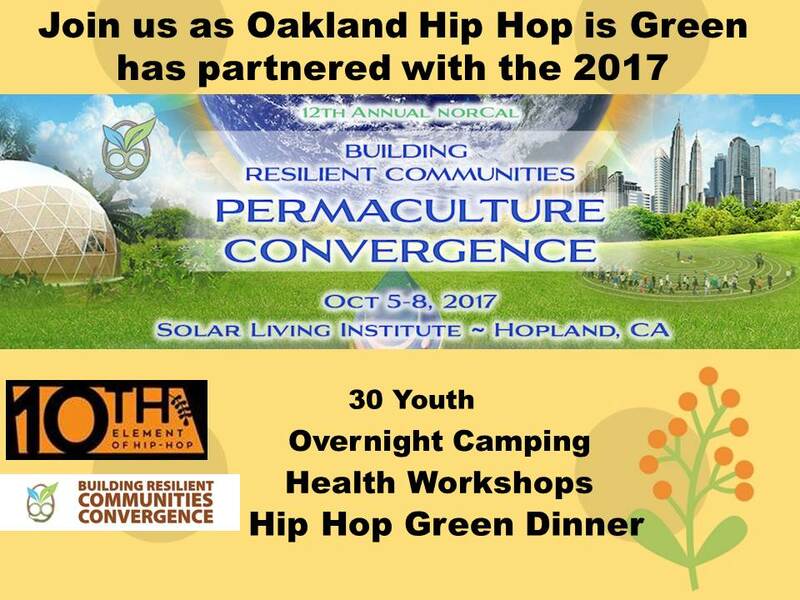 This year we are collaborating with The North American Permaculture Convergence (NAPC), for an overnight camping event which connects youth to the environment and gives them hands on training in interactive workshops with live Hip Hop performances, camping, hiking and fun. 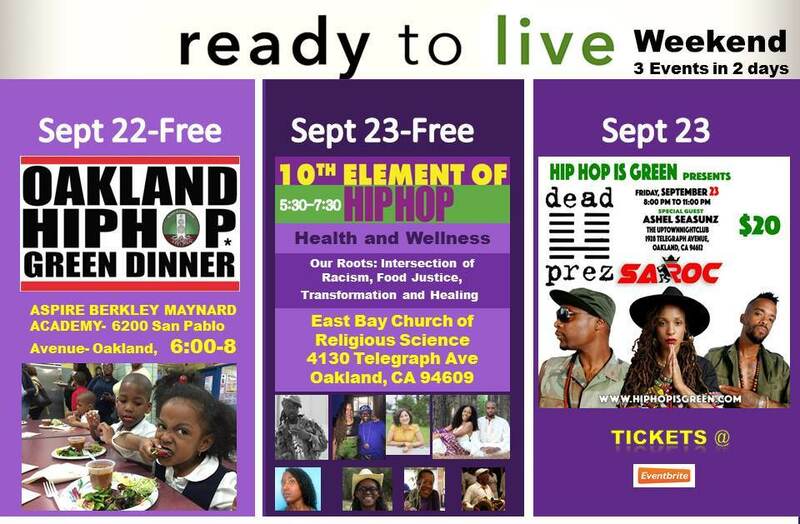 Hip Hop is Green along with many local and national sponsors held the Oakland Ready to Live Weekend. We were very excited to bring this experience to the people of Oakland so join us at our events starting on September 22nd-23rd -2016. 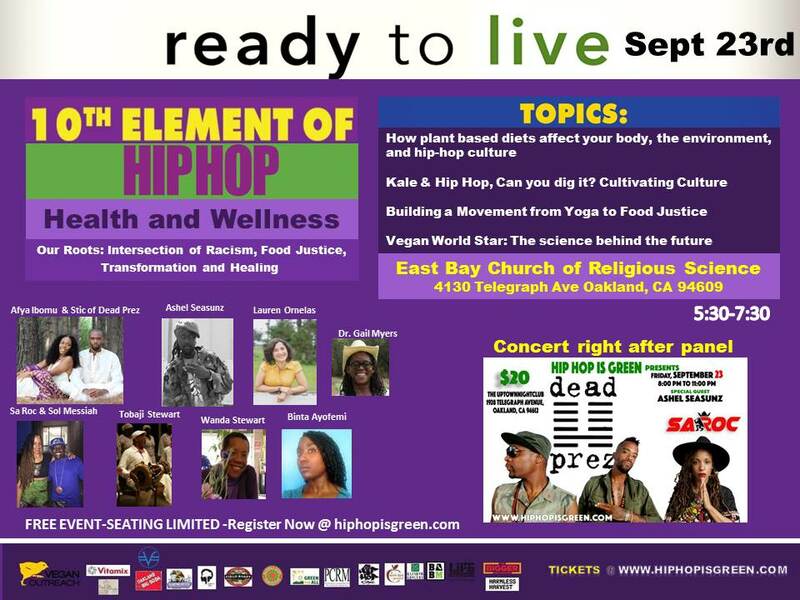 Our event was held at Aspire Berkeley Maynard Academy on Thursday September 22nd at 6:00 for the Oakland Hip Hop Green dinner. 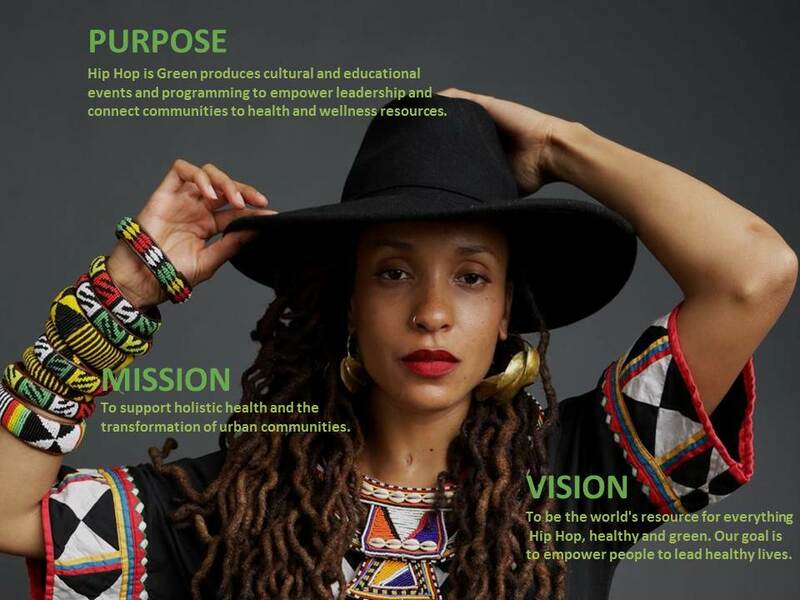 The Hip Hop Green Dinners are a National Health Initiative set in urban communities and designed to introduce new people, especially youth, to delicious, healthy vegan food. The FREE Green Dinners are most attendees' first introduction to a vegan meal and are a perfect combination of information and entertainment. Over the last seven years we have served over 5000 healthy plant based meals to youth and families around the country. 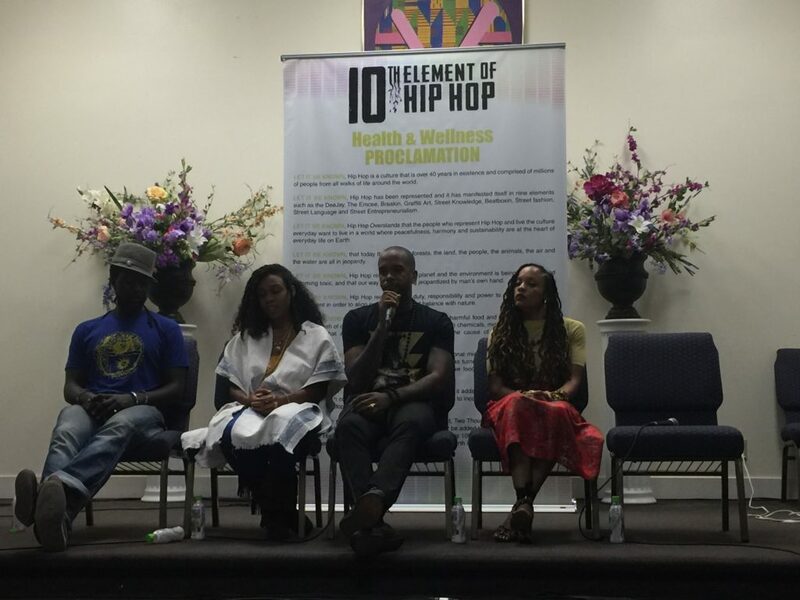 Last year we helped to move Hip Hop culture forward by adding a new 10th Element, which is Health & Wellness. As part of the 2016 tour in each city we held our 10th Element speakers series events and panel groups all around the country. How Plant Based Eating effects your health, community, and hip-hop culture? What does it mean to be vegan from a hip-hop perspective? Each form of the 10th Element "Health & Wellness" will be discussed in-depth such as plant based foods, organic gardening, fitness, meditation, animal rights activism and food justice. Oakland - Are you Ready to Live? 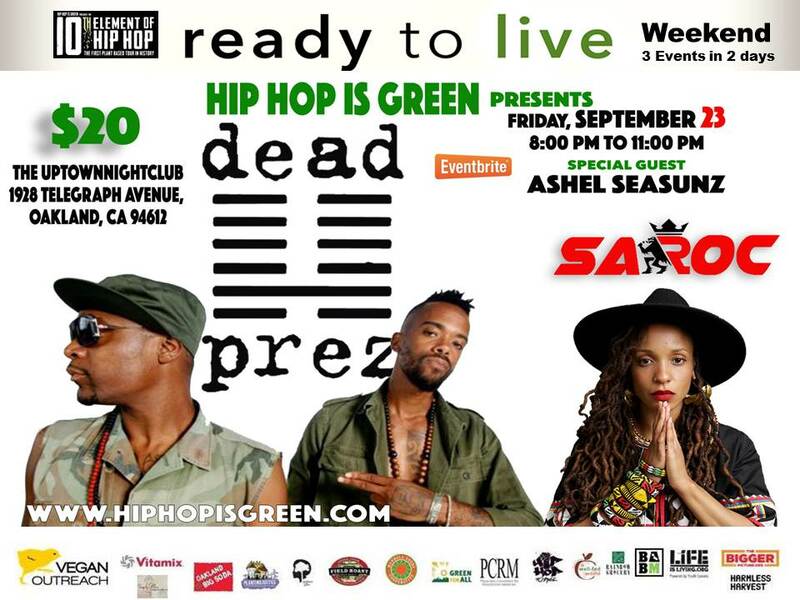 Note: Dead Prez will take the stage promptly at 8:45pm so get there early!!! Click if you are a local business, city agency, college or university and organization and would like to support. AshEl Seasunz Eldridge, a native of Chicago, is currently an Oakland, California based artist, educator, organizer and spiritualist. He was Outreach Associate and a Cultural Director of Green For All's Public launch called Dream Reborn and Spotlight Events Coordinator for Green Jobs Now: A National Campaign to Build the New Green Economy. He performs spoken word, rap and sings nationally with conscious Hip Hop, Dub, Reggae and Electronica bands including Wisdom and Bassnectar. He has shared stages with Steel Pulse, KRS-One, STS9, Michael Franti, Midnite, Ozomatli and more. 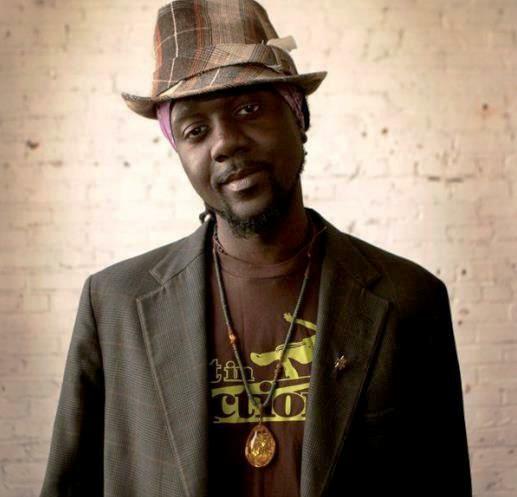 In addition to being a music, poetry, and meditation facilitator with Art in Action, where he works to empower low-income youth from urban communities, AshEL also combines the world of art, music and community healing with ecological sustainability within the CommuniTree Movement. His work aims to cultivate the links between both local and global movements for social justice, spiritual awakening and ecological healing through "edutainment" and other compelling ways to captivate youth and hard to reach populations. entrepreneur dinners, networking events, workshops and annual fundraising galas. practical experience as Project Manager for nonprofit Real Estate Development organizations in California and Hawaii. lauren Ornelas is the Food Empowerment Project's founder and serves as the group's volunteer executive director. She is also the former executive director of Viva!USA, a national nonprofit vegan advocacy organization. lauren has been active in the animal rights movement for over 20 years. After spending four years as National Campaign Coordinator for In Defense of Animals, lauren was asked by Viva!UK to start and run Viva!USA in 1999. In cooperation with activists across the country, she worked and achieved corporate changes within Whole Foods Market, Trader Joe's, and Pier 1 Imports, among others. 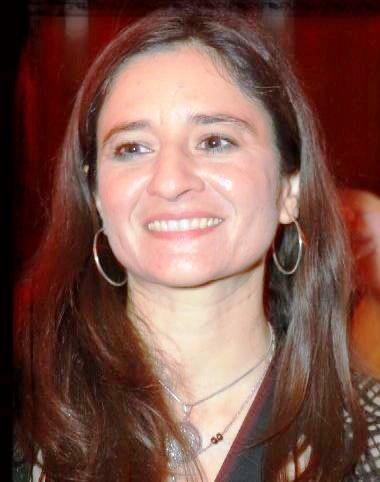 She currently serves as Campaign Director with the Silicon Valley Toxics Coalition. 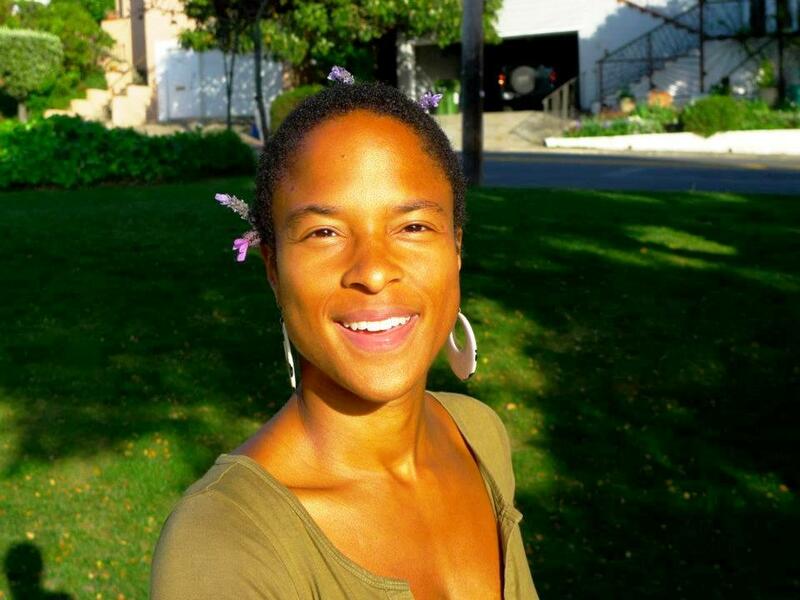 A. Breeze Harper is a PhD candidate at University of California, Davis in the graduate group of geography. Focusing on critical geographies of race and food, her dissertation engages in critical race and critical whiteness theoretical applications to analyzing vegan consciousness in the USA. She is also the creator and editor of the anthology Sistah Vegan: Black Female Vegans Speak on Food, Identity, Health and Society (Lantern 2010). "POAGP is timely. Finally, a green and alternative health conscious film that speaks to and for the hip hop generation in a language that we can embrace"